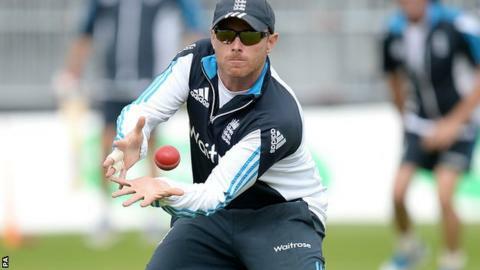 England's Ian Bell has been ruled out of Friday's fifth one-day international against India with a fractured toe. The Warwickshire batsman suffered a small fracture to his left big toe in practice ahead of Tuesday's nine-wicket defeat to the tourists at Edgbaston. Bell played no part in the heavy loss at his home ground that secured India an unassailable 3-0 lead in the series, with Gary Ballance drafted into the XI. England will not call up a replacement for the final contest at Headingley. England's management team were initially planning to assess Bell's injury in practice on Thursday but have decided already the number three will not recover in time to play. After the first one-day contest was washed out, Bell, 32, scored just one run in the heavy defeat in Cardiff and 28 in the six-wicket loss at Trent Bridge. India's tour of England concludes with a one-off Twenty20 match at Edgbaston on Sunday. Listen to the Test Match Special podcast on the future of England's one-day international side.